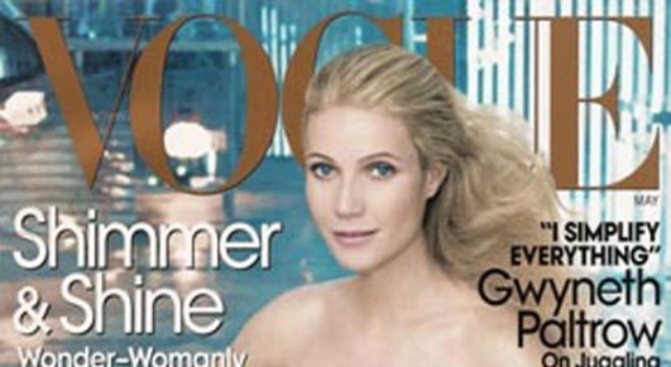 Is Gwyneth Paltrow "Newsstand Suicide"? They hate you! They really hate you! The Entertainment Weekly issue with the stars of Iron Man on the cover hit newsstands today. Funny thing: Gwyneth Paltrow ain't on it. Why? Because, apparently, she kills covers. The three stars who do grace the cover -- Robert Downey, Jr., Scarlett Johanssen, and Mickey Rourke -- certainly have their appeal and will no doubt attract newsstand sales, but Gwyneth Paltrow is, like, an A-lister, right? Well, maybe not. That would be forgetting the now-infamous Vogue cover she did last summer. You know, the one where she looked like an ice-queen-slash-space-alien? That one. Conde Nast confirmed it to be the company's worst-selling issue since 2001, only moving 350,000 copies off the newsstand. Those kinds of figures were no doubt at the top of the editors' minds at Entertainment Weekly when they made the call not to put Paltrow on the cover -- fearing her, as the Post reported, to be "newsstand suicide." Which is definitely something that the folks in print just can't take a chance on these days. Just a couple of weeks ago Paltrow made headlines with the latest episode in her long history of bashing America. "(Spain) is so different from the United States. It seemed to have a history, and the buildings are years and years and years old. Here in the United States an old building is about 17 (years old), and over there it's from 500 B.C., it's incredible," said Paltrow. Could it be that she's finally paying the price for years of biting the hand that has made her fabulously wealthy? Some other celebrities that most folks wouldn't take a chance on right now? Hilary Swank, Jennifer Connelley, and Katherine Heigl, all of whom have graced the worst-selling list for various other fashion mags over the years.